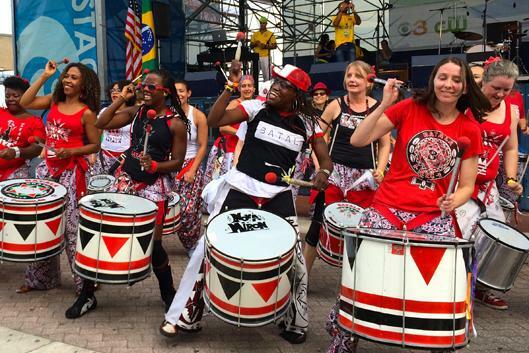 The first annual NC Brazilian Day Festival is being presented by Batalá Durham- the local chapter of an international Afro-Brazilian samba reggae band with over 35 individual bands worldwide. This festival aims to bring Brazilian arts, music, culture, dance, and food to the Triangle area of North Carolina. The festival will take place from 2-8 pm on Saturday, September 15th, 2018 in Durham Central Park (501 Foster Street, Durham NC 27701). Authentic Brazilian food and drinks provided by vendors.